Categories: Anti-militarism . 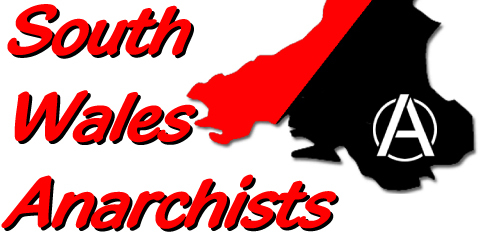 Tags:Aerolink Wales 2009, Anarchists, Campagin against the Arms Trade, CND, Evidence gatherers, Gaza, Israeli army, police, Red Choir, Stop the War, Vale of Glamorgan Hotel and Spa, Welsh Assembly . Author: C.A.N. I’ve been reading your site for a while now and live in south Wales. I would like to discuss how the hell do you stop imperialism or at least try. I have previously been discussing this on a forum and it’s brought some interesting conversation. Urban guerilla stylee armed militancy is largely ruled out (everything has to be considered though ; ) for reasons such as these http://libcom.org/library/you-cant-blow-up-social-relationship. What I want to know is, are the practical things I am about to suggest realistic and or relevant. Spreading propaganda/agitating for strikes at munitions industries? Seeing as you have highlighted all these companies within Wales. Or similar action at military institutions and departing forces, ideally with press coverage. More broadly speaking, direct dialogue with soldiers?